Have the Majors been good for the Dota 2 scene? Valve's greater role in pro Dota has its upsides, but can cause problems for third parties. In a month, the top Dota 2 teams will descend upon Kiev, Ukraine, for the next in Valve’s series of official tournaments, the Majors. Modeled after the system introduced to CS:GO in 2013, these events began after The International 5 in 2015, each providing a $3 million prize pool and a $1 million grand prize. The event also introduced roster locks, preventing teams from changing rosters mid-season if they wanted to be given an invite to an event or its qualifiers. But the Majors also came with its own set of controversies and legitimate concerns. Namely, there are questions about how these Valve tournaments, regarded by the community as extremely important, have interfered with third-party events. A major side effect was how this weakened the post-event tournament circuit after each Major or International. These events were expected to be affected if they were too close to The International, but now they need to think about whether they want to risk being the first event after the Major. Massive tournaments now have to make the call about whether or not a squad should be allowed to play if a team locks in a different roster than its original. Plus, many players focus on Majors, and some may come to these other events exhausted or not at their 100% for other reasons. Speaking of weakened tournament circuits, Valve’s lack of communication about large events has put many third-party tournaments on thin ice, particularly this year. The Boston Major was announced with just two month’s notice, notably affecting DreamLeague and almost affecting The Summit, a fan-favorite tournament. They did announce Kiev Major dates at Boston itself, but then they chose to change them, likely due to a mixture of factors: the stadium was being used for other sporting-related events, and the Dota Asian Championships were too close. DAC is hosted by Perfect World, which publishes Dota 2 in China, and it’s unlikely Valve would want to weaken relations. Do the Majors affect tournament numbers? Two years in, it’s hard to tell quantitatively. Up until the “seasons” were implemented, there were more and more tournaments every year. In the 2014-2015 season, excluding Valve events there were 24 ‘premier’ and 38 ‘professional’ events, per Valve’s ticketing system, for a total of 62. The year before, 2013-2014, there were 20 and 48 respectively, for 68 total. At a glance something has certainly happened, as in 2015-2016 there were 17 ‘premier’ and 22 ‘professional’ events for a total of 39. This year the scene is on track to reach similar numbers, though the elimination of a Major seems to have helped a bit. At this time last year, 11 premier and 14 professional tournaments had taken place since The International. The year before saw 11 and 14, and 2014-2015 saw 14 and 27 respectively. Still, as the Major system continues to settle in, we’ll see how it affects tournament production timeline-wise. There’s also the chance that outside investors don’t want to commit to Dota, given the increasing pool of esports that tournaments organizers can choose from. Another tier down, meanwhile, smaller tournaments are affected by Valve’s lack of attention to unofficial events. While Dota 2 was originally acclaimed for hosting and being supportive of in-game tournaments of all levels, including during its beta years, in the past year or two several complaints had arisen from tournament organizers. The Reddit Dota 2 League, which has hosted many pros, including CompLexity’s Moo (and even professional actor Asa Butterfield) claimed that Valve had been ignoring its routine requests for in-game tournament hosting. Around the same time, other organizers reported similar issues, including UK’s BGL and a small university cup, and there have been other such complaints throughout the past few years. The issue likely began over two years ago, when the Dota 2 Canada Cup was informed by Valve that there were several changes to how tournaments were permitted to run. Namely, while tournaments ticketed as ‘amateur’ and ‘professional’ were given similar permissions, Valve chose to restrict in-game item distribution to premier tournaments only. The Canada Cup wished to distribute a courier named Bearzky, stating “we felt this was the proper way to attract viewers, get sponsors, pay teams a fair prize pool in the North American scene and pay designers and casters, put the profits towards larger prize pools.” In this original PSA, some players did comment that they didn’t necessarily want to pay larger amounts to get the cosmetic, which was a trend among these tournaments. In hindsight, meanwhile, there’s the chance that Valve also had an extra motive for slowing the distribution of in-game items: the Compendium system. Valve supposedly allows Compendiums for Premier tournaments that can boost the tournament’s prize pool, including DAC 2015, but the DAC 2017 Compendium has been the first since the DotaCinema Captain’s Draft in January 2016. (In 2014, when the system was introduced, there were five third-party tournament compendiums, and in 2015, when the seasonal Compendium by Valve was introduced, there were three.) Either Valve has been reprioritizing which tournaments should receive one, or tournaments aren’t focusing on the Compendium as a prize incentive. If it’s a change on Valve’s side, one could speculate that they’re trying to avoid too much money being drained from their own tournaments’ profitability. 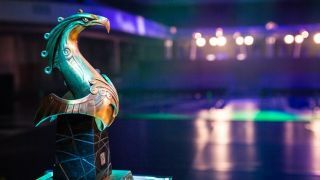 And, if that’s the case, it likely affects the prize pool of these premier tournaments, as Compendiums alone raised hundreds of thousands of dollars—sometimes into the millions—for these events. Of course, the Majors circuit can’t entirely be just about Valve putting out cash cows. Otherwise, Dota 2’s infamously vocal pros and fans alike would be more critical (though they certainly were after teams were given only three weeks for the first roster lock). Valve clearly wanted to make a tournament system that added longevity to the core professional scene, and it has largely accomplished that task. The roster lock system, especially with this year’s new “drop/add dates,” has been increasingly praised for protecting its players. For its all its flaws, as mentioned, it succeeds in making orgs and players less casual about shuffling and dropping its players mid-season. The presence of multiple Majors distributes the pressure of professional play more evenly throughout the year. Teams would arguably prepare for The International alone (for instance, Newbee streamed RPGs for several months after their TI4 win), but now they’re given motivation to work year-round towards each Valve event. All in all, for players and Valve itself, the Majors system is a mostly win-win situation: players are given a reliable tournament circuit with good cash and more predictable stability, while Valve is profiting off the Compendiums and tournaments. Of course, there’s no denying that the system must affect other parties, but it has yet to be seen how the dust will settle. After all, a system that spans a year may take several years to show its true impact on everybody involved.